What is Adv Java Tutorial? Adv Java is a high-level programming language originally developed by Sun Microsystems and released in 1995. 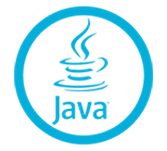 Java runs on a variety of platforms, such as Windows, Mac OS, and the various versions of UNIX. This tutorial gives a complete understanding of Java. This reference will take you through simple and practical approaches while learning Java Programming language. This tutorial has been prepared for the beginners to help them understand the basic to advanced concepts related to Java Programming language.